The fabric GIUNGLA is an absolute novelty in the panorama of home furnishing and interior decor, it is indeed a fabric made with the ancient technique of tapestry. 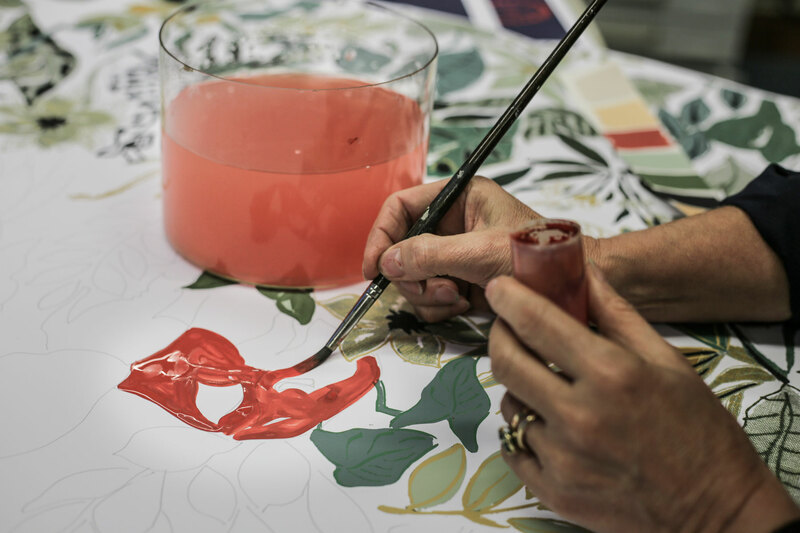 The inspiration came to our designer after seeing the Milan exhibition “The Prince of Dreams” dedicated to the beautiful sixteenth-century tapestries commissioned by Cosimo I de’ Medici for the Palazzo Vecchio. From this was born the desire to retrieve an ancient craftsmanship of the highest technical and artistic level to achieve an equally fascinating product, but in a contemporary style. 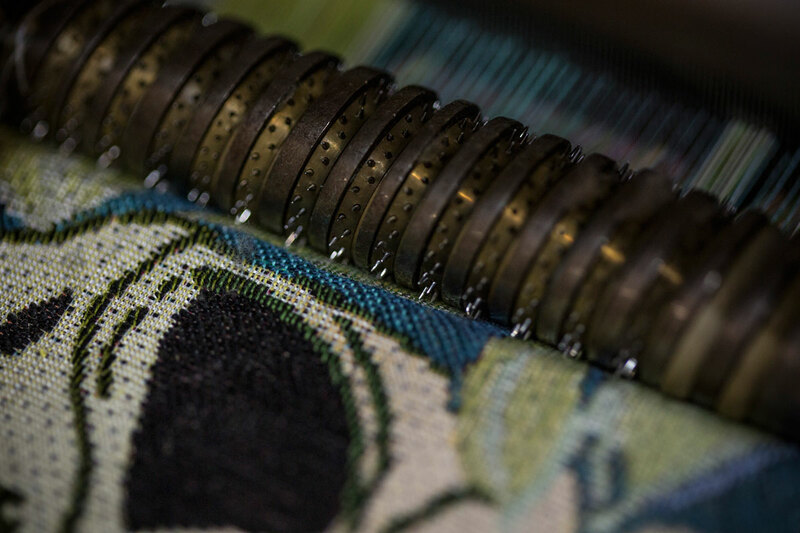 The main feature of the weaving technique for tapestries is the very high concentration of colored yarns in the warp that allow an absolute precision compared to the nuances of the design. 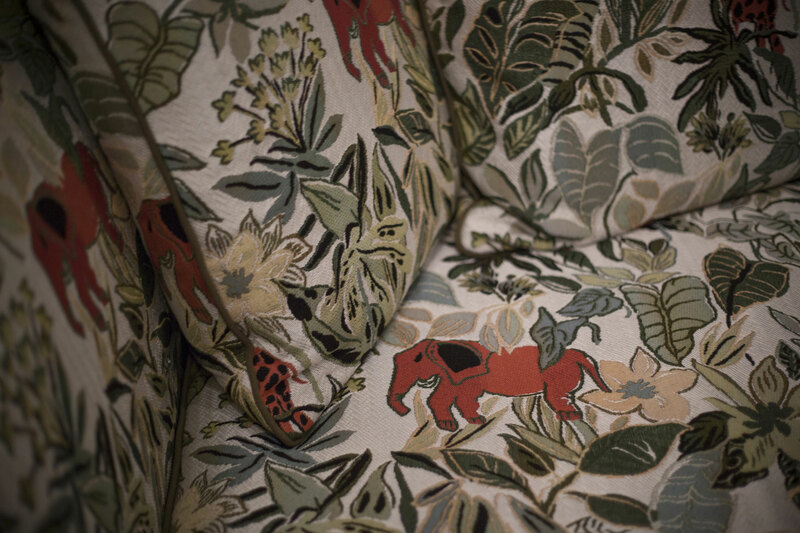 The tapestry technique has been completely revised by BROCHIER by proposing a tropical design in a modern, vibrant palette and replacing the classic wool and cotton yarns, with brighter and vivid yarns in polyester and polyamide. The base of the fabric is knitted with a jacquard micro-chevrons, while the design fades from one selvedge to the other, thanks to the combined work of the warp threads with the weft threads. 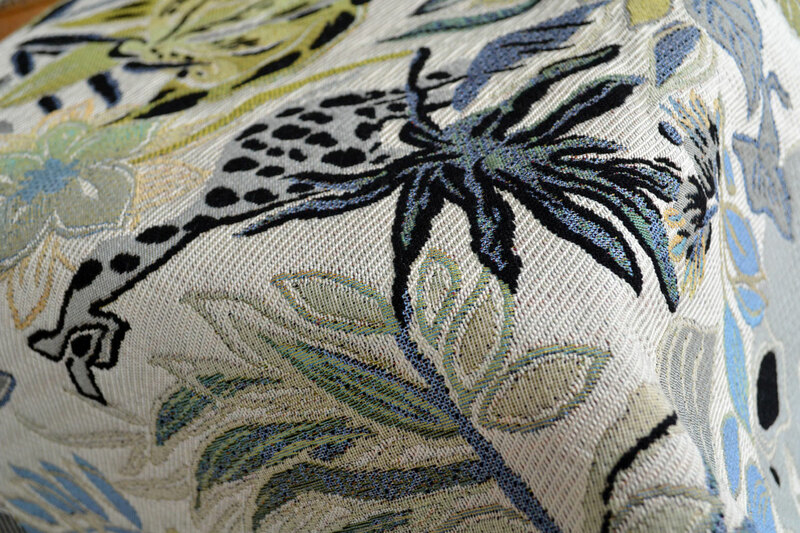 The fabric GIUNGLA is the result of a technical and stylistic challenge that allowed to successfully combine the intricacy and beauty of an ancient weaving technique and modern taste, contemporary and classic yarns, to create an exceptional product.